I have a big interview next week. I feel a suit with a skirt as opposed to pants is more appropriate based on the level on the position I’m interviewing for. What should I wear to an interview? My legs are not to the point I would want to go bare legged as I’m Irish and it is winter – need I say more! Should I forgo the skirt and wear a professional pant suit? Or should I wear a skirted suit with pantyhose? I am going to pick a cream color, tan or light gray suit as I think light colors look better on me. I also would not feel comfortable in nylons because they aren’t comfortable for me. But, if you are comfortable AND confident in them, then do it! All that really matters is that you feel that you look professional and great. 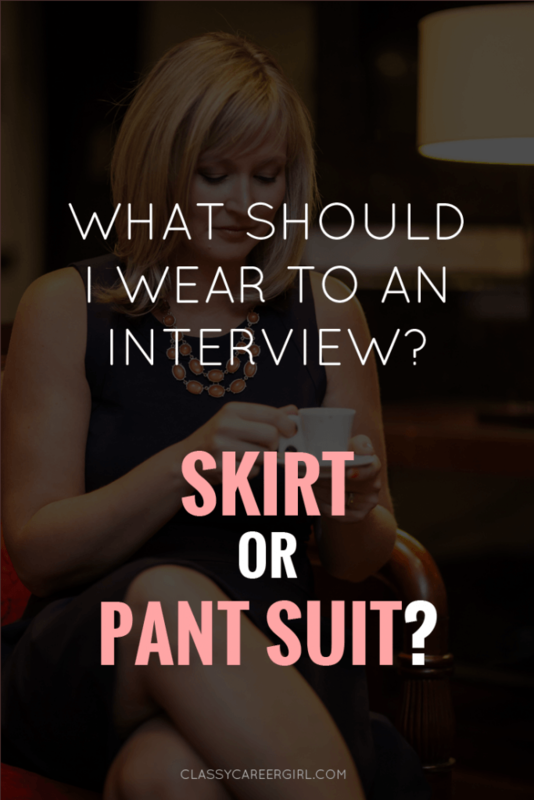 If you don’t, you will be worried about what you are wearing instead of rocking the answers to the interview questions. The best interview outfit is one that is hardly noticed.Think about that when you are deciding what to wear! Here are my thoughts on the rest of your questions! I recently did a post gathering input from Twitter followers about whether or not to wear pantyhose at work that you can find here. You can find information on that post that some people feel that nylons are outdated, office appropriate or it depends. You will see that my thoughts are outdated….but I did wear them when I first started out in the professional world because I felt like it made me feel older (and I was extremely young). But I don’t wear them anymore today. (Disclaimer: I live in San Diego and things tend to be a little more relaxed than other places such as New York and DC. For your question today, I would probably say that for an interview, it is probably best to go with the pantyhose). For everyday work wear, I would probably not wear the pantyhose. Skirt Suit or Pant Suit? I don’t think that a skirt suit or pant suit can define the level of position that you are interviewing for. I think this one really depends on the suit. There are some excellent skirt suits that are professional enough to work really well for an interview. Some skirt suits though are just for fashion and aren’t appropriate for an interview. So I would be more careful picking out the skirt suit than the pant suit. You really can’t go wrong with a pantsuit. A lighter suit may be viewed as less professional. I am not sure what position you are interviewing for but I would go with light gray. In my office, tan and cream colors are worn on casual Fridays. 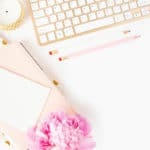 It could be totally different where you are interviewing but I don’t think there is anything wrong with dressing more professional than whoever is interviewing you. I once went to an interview in a black suit and everyone else was wearing jeans. I felt kind of weird but I immediately felt more respected and older because I was wearing a suit. (This was a good thing because I was interviewing for a manager position to manage people that were basically my same age! Hope this helps! Good luck on your interview! Do you agree with my recommendations? What is your advice on what to wear to a job interview?